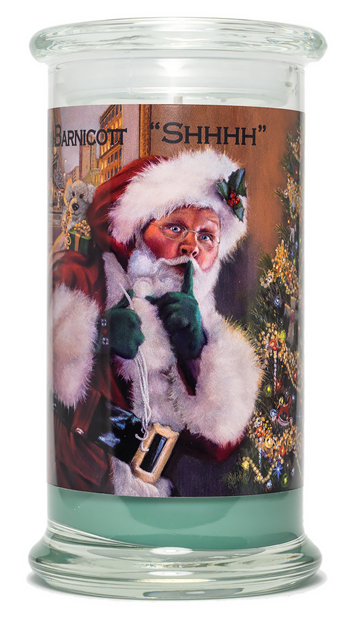 The painting, “Shhhh!” takes you back to your early childhood with thoughts of Santa and what he meant to you. He is the Santa who is jolly, warm, has rosy cheeks and wants nothing more than to make every little child glad. You are no longer the grown-up, but that 4 year old sneaking down the steps to catch a glimpse of Santa. Surprised, Santa motions and whispers, “Shhhh!”. 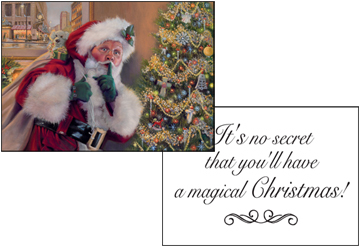 Festive, bright and true to life, for those from Pittsburgh it has a clever twist of a “painting within a painting”. 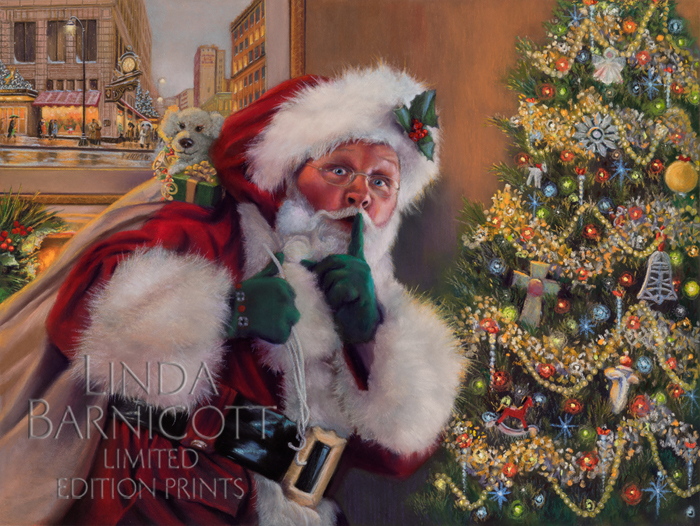 “Waiting for You under Kaufmann’s Clock” may be a sold out print, but lives again in Linda’s new painting as background to “Shhhh!”. This rendering is a charming reminder of the annual ritual of the ride into downtown Pittsburgh to see the Christmas windows! 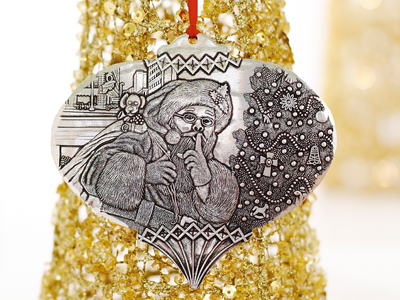 All in all, “Shhhh!” not only ushers in the season of joy and wonder, but brings with it a great feeling of nostalgia that makes you want to share it with your family and friends. 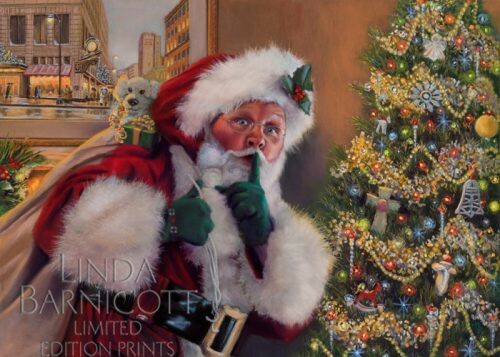 “Shhhh!” is the first painting in Linda’s new “Jolly Old Elf” series of five holiday Santa paintings. These metal plates are seven inches round.